How to Say “Historic City” in Chinese? Hey guys, welcome back! It feels like I haven’t talked to you guys for a while. Why?—Because I was away for my spring break with my friends! We went to the famous historic city in Florida, even one of the most renowned historic places in the U.S., Saint Augustine. Today I will “show you around” this historic city and teach you guys how to say “historic city” in Chinese! St. Augustine (click here for its position, and here for a more complete history with old illustrations and photographs online) was found by Spanish settlers in September 1565, and it was then make the oldest continually occupied European settlement in North America. That’s why St. Augustine is called a “historic city”. A “historic city” is translated as “古城” in Chinese, which means an old city with lots of appealing history. 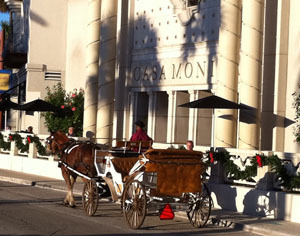 Since the city was colonized by Spain and England before it was taken control by the U.S., European-style constructions and carriages (for tourists) can be seen everywhere in Saint Augustine. 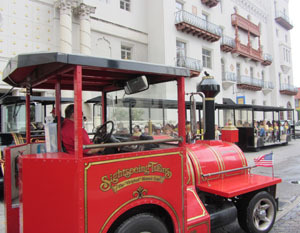 You can walk or drive a segway within the city, and you can choose to take a Ripley’s sightseeing train as well. My friends and I visited the Ripley’s Believe It Or Not! 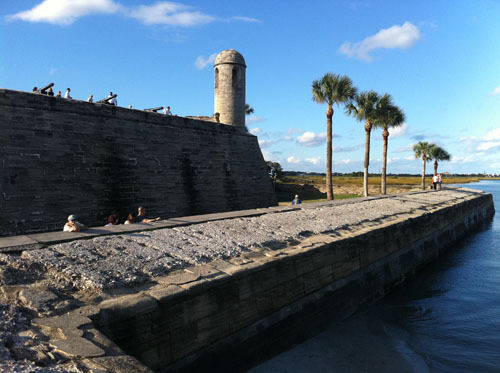 Museum, known for St.Augustine’s best ghost train tour; the Castillo de San Marcos national monument, the oldest masonry fortification in the continental United States, which anchored the St. Augustine defense system; the Huguenot Cemetery (a public burial place for non-Catholics who died of the yellow fever epidemic in 1821 within the city), and the Town Wall. We walked along the Castillo Drive and the famous King Street. We also took a tour to the Potter’s Wax Museum, the Lightner Museum and the Flagler College. At last, I also want to recommend a very cozy and economic place to live when you go on a St. Augustine trip, the La Quinta Inn & Suites St. Augustine. Last but not the least, here’s a gift for you at the end of this post —— a slideshow of photographs I took in St. Augustine! Enjoy! 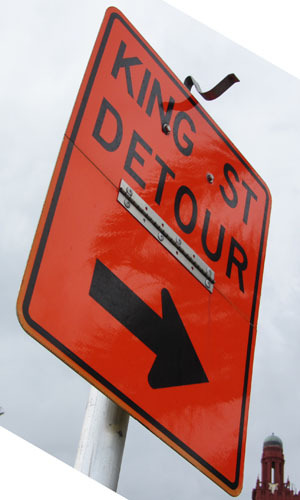 Got more stories about St. Augustine or other historic cities to share with us?